In 2011 Walmart began testing Walmart Express, a smaller format designed for the new trends in convenience shopping experience. When Walmart first opened the first Walmart Express stores, the industry waited with anticipation to see how this new player would impact other convenience store sales. However, as of early 2016, Walmart decided to close a number of Walmart Express locations, while at the same time planning to open Walmart Neighborhood Markets and Sam's Club locations. 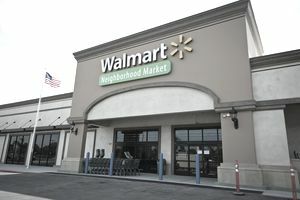 Wal-Mart Stores Inc.'s first convenience store-sized Walmart Express offers a peek at how the world's largest retailer plans to expand in big cities and small towns, said the Associated Press. As the supply chain expert in retail, Walmart will be a formidable competitor to C-Store chains such as 7-Eleven and WaWa. CSP Daily News says the store, about 15,000 square feet, looks like a tinier version of a typical Wal-Mart, which can range from 100,000 sq. ft and upwards. The product assortment is also smaller at 13,000 items. The photo that is circulating around looks disappointing! WalMart does not portend to be like Target who clearly touts "Our Focus on Design" when it comes to Store Experience and Innovations. portray fashion and style like Target, but come on guys! If they are attempting to compete with the likes of convenience store giants like WaWa and Sheetz, they had better get another design firm ASAP. Just check out this video on the Sheetz Corp Youtube channel and tell me if you see a difference? MarketWatch says Walmart Express locations are rolling in rural municipalities Arkansas and North Carolina AND in urban markets like Chicago, all will have a pharmacy and some will have gasoline. Walmart has had 2 years of declining same-store sales revenue. Retailers use same-store sales as a barometer of company health. Same-store sales simply take the total sales of stores last year and compare this year's sales and they do not include stores open less than 12 months. Walmart has been experimenting with Neighborhood Market and Marketside for several years since they know there is limited real estate for their behemoth 100,000 sq ft stores, particularly in urbanized areas of the US. Walmart also recognizes the importance of food and beverage in its future growth, and it apparently created the Neighborhood Market format for this purpose. "This is about access to breadth of assortment" and every day low prices, said Anthony Hucker, vice president of strategy and business development, which is spearheading the new format. If the retailer gets the prototypes right for both urban and rural areas, it sees the potential to build about 350 per year. Walmart Express is looking to customers to tell it what the small stores should carry. Signs throughout the store feature "If you want it, we'll get it." So customers can order an item on Walmart's website and have it delivered to the store through its "Site to Store" service. So the news on Walmart Express is just that, news. It is way too early to predict what effect this will have on the food and beverage sector. It does mean that food entrepreneurs have another trend to watch out for since you can be sure supermarkets and convenience stores will be keeping a close eye on the giant from Bentonville.